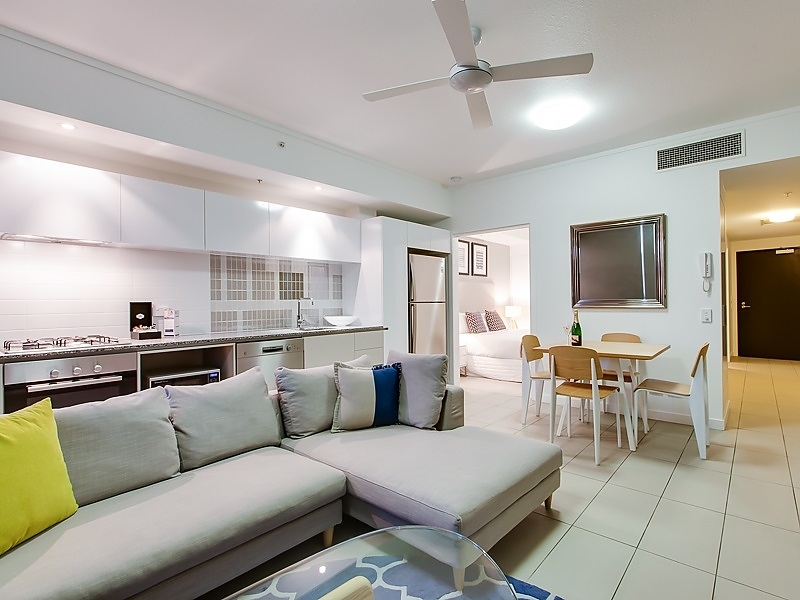 One Bedroom Apartments have a fully equipped, open plan kitchen with Bosch stainless steel appliances, dining table and chairs, and a free-flowing living area. 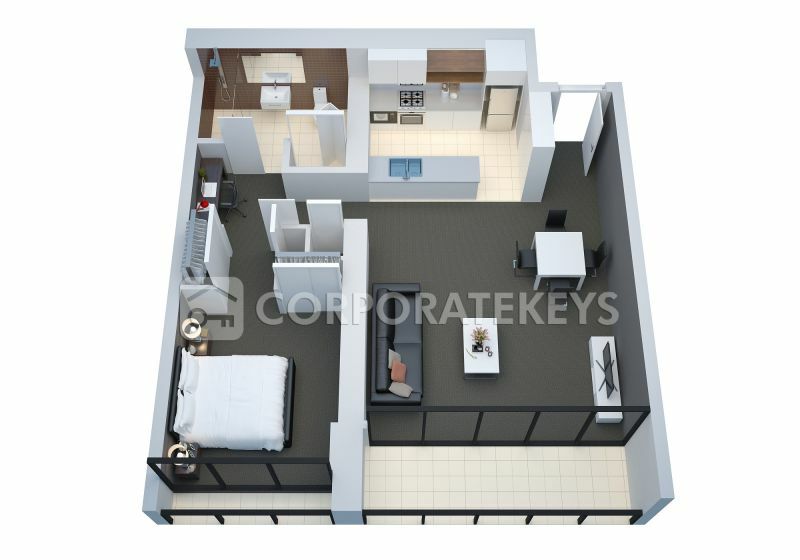 Add to that the convenience of a study nook so you can keep work and ‘relax time’ separate as well as your very own undercover secure car park for only $70 per week. 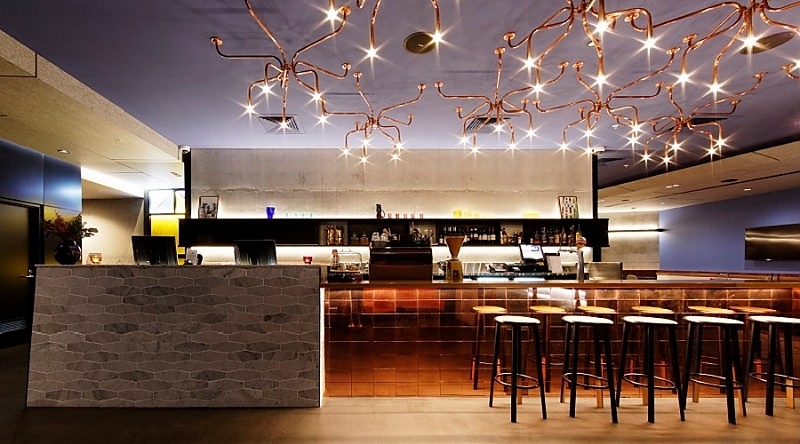 Enjoy free, unlimited wifi. 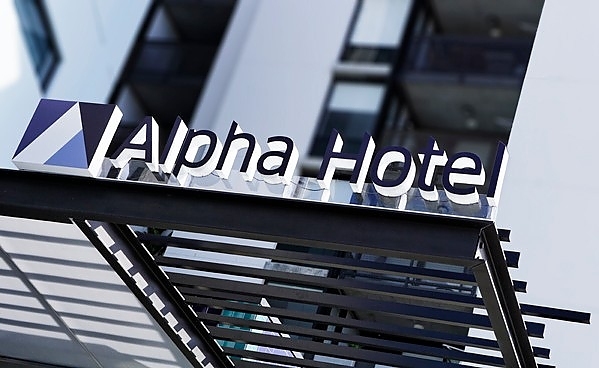 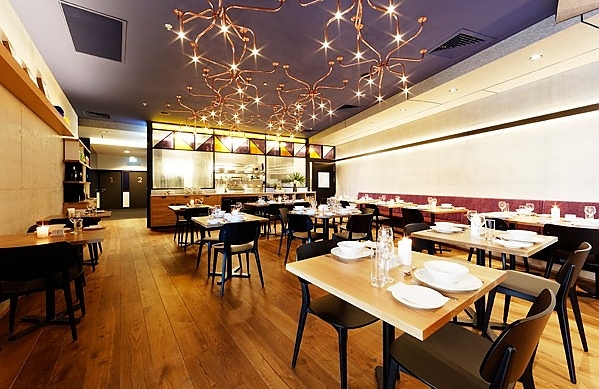 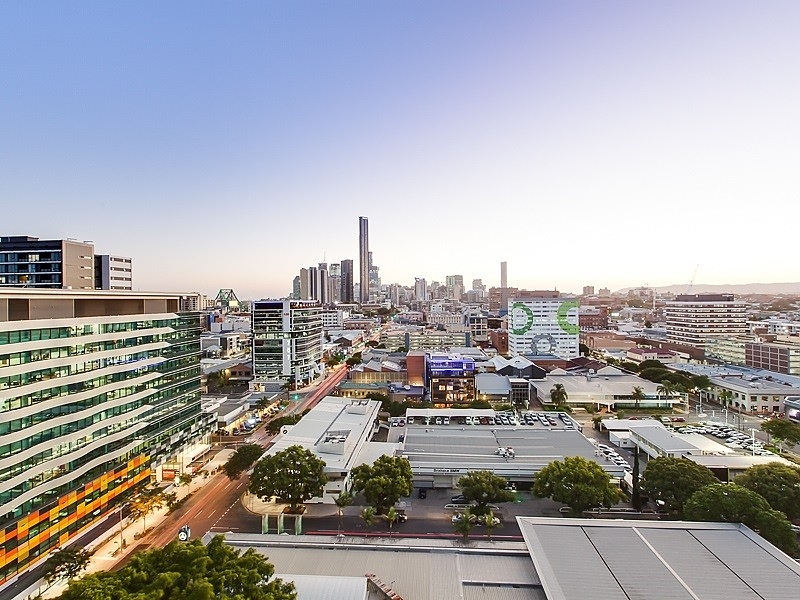 Alpha Mosaic Hotel and Apartments are part of Fortitude Valleys transformation into the new heartbeat of Brisbane, amongst fabulous restaurants, cinema complex, elegant fashion stores, St. James Market, adjacent to The Valley Pool and much, much more. 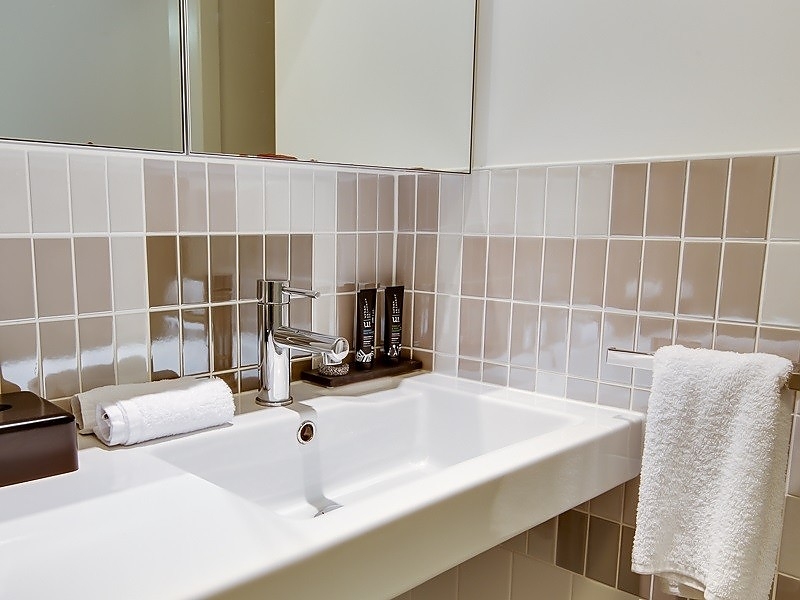 Alpha Mosaic Hotels One Bedroom Apartments provide exceptionally designed executive accommodation for single guests or couples for stays of 7 nights or more. 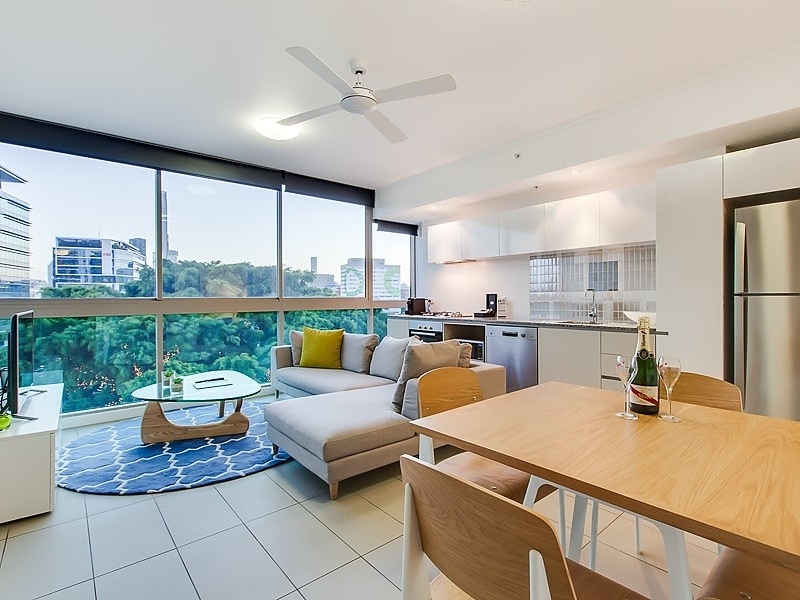 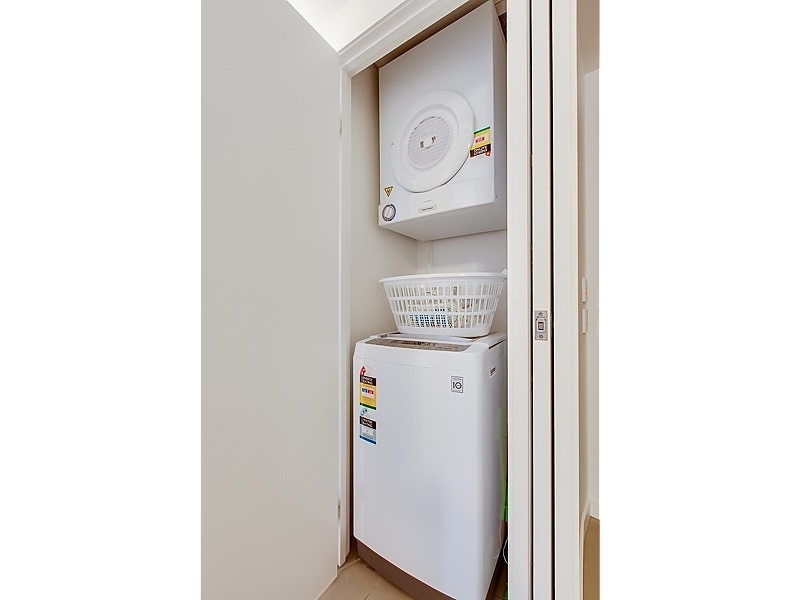 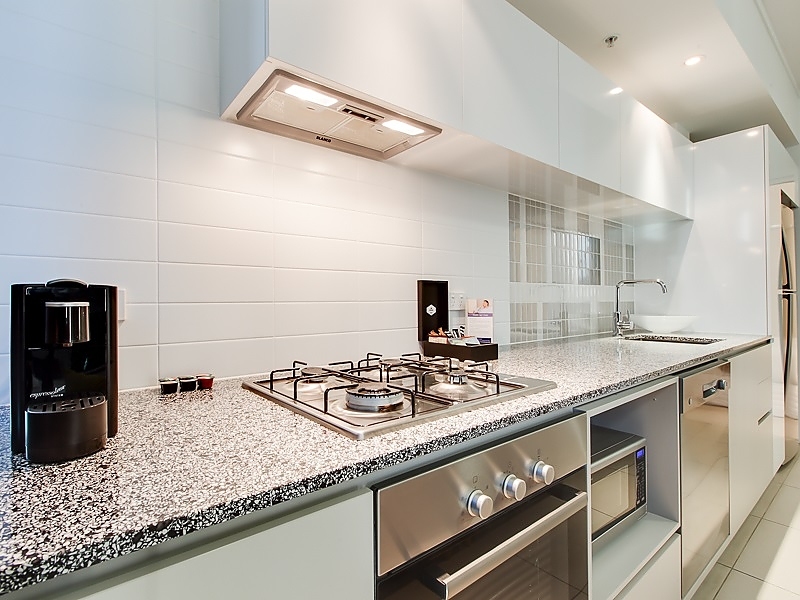 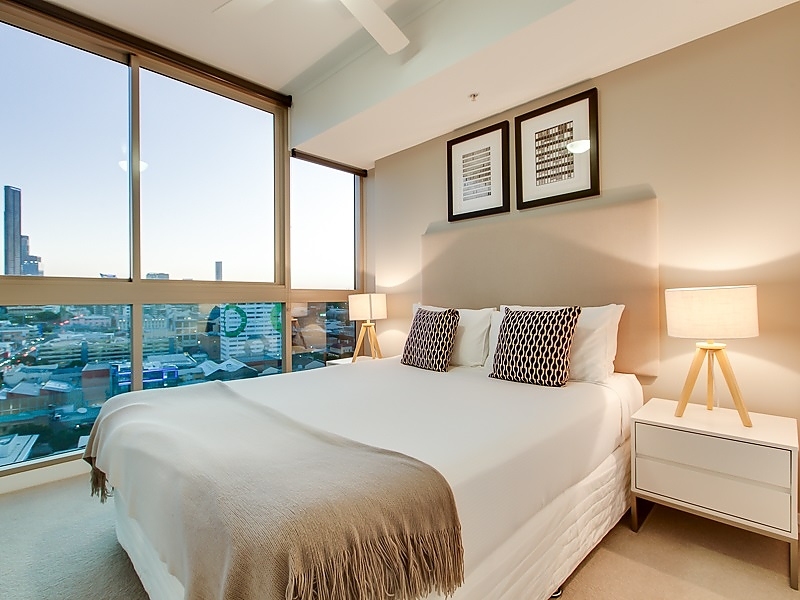 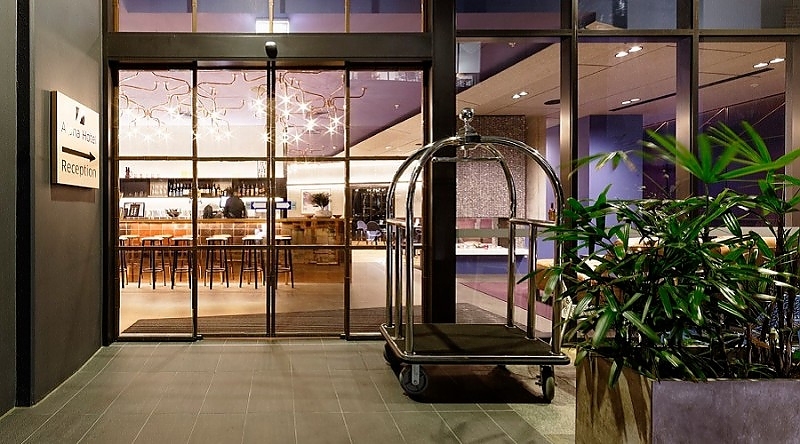 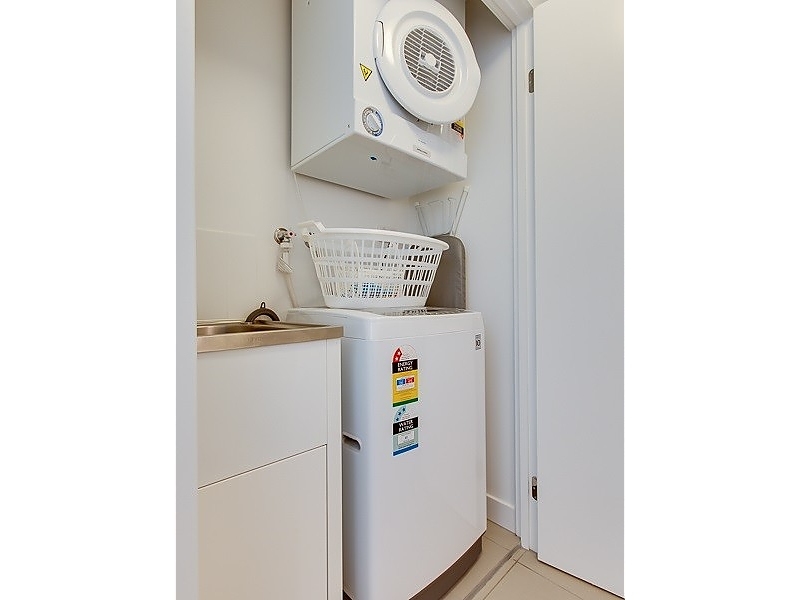 If you are looking for the convenience of a self-contained apartment in Brisbane with the services of a 4.5 star boutique hotel, for relocations or projects or for extended business or leisure travel requirements, youll be impressed with what we have to offer. 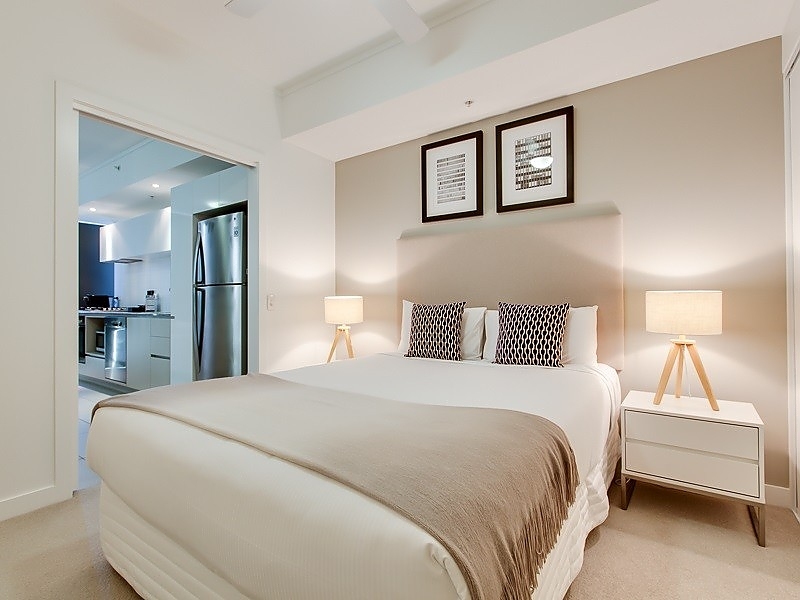 Guests of Alpha Mosaics apartments can enjoy the space and style of apartment living, along with an array of facilities at the hotelincluding Mosaic Bistro & Bar, room service and weekly room servicing. 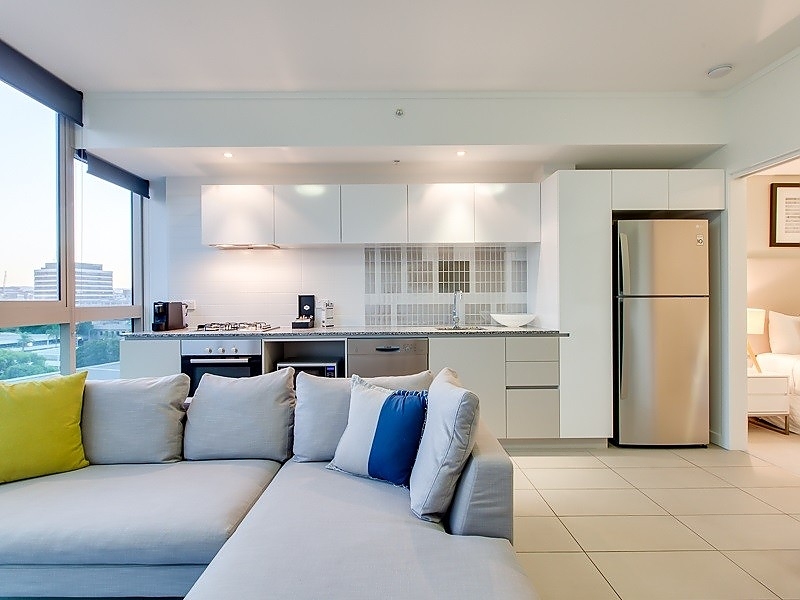 One Bedroom Apartments have a fully equipped, open plan kitchen with Bosch stainless steel appliances, dining table and chairs, and a free-flowing living area. 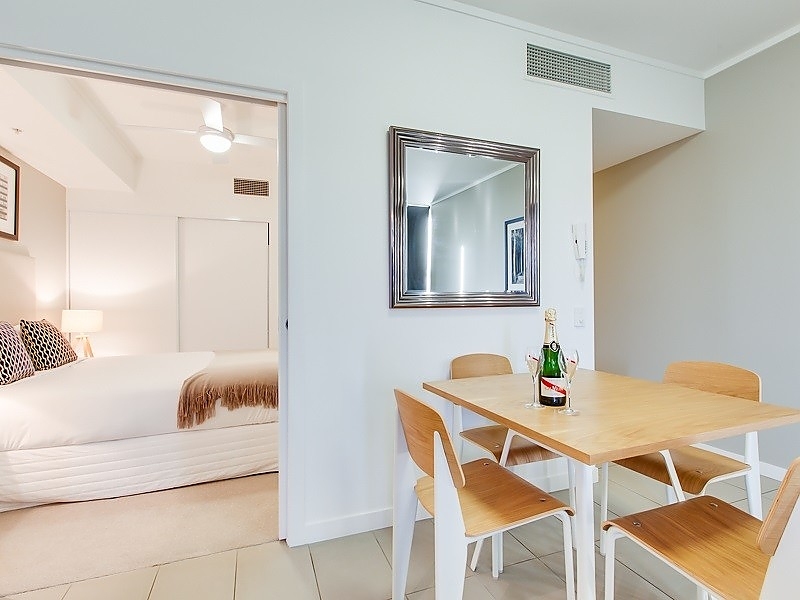 Add to that the convenience of a study nook so you can keep work and relax time separate as well as your very own undercover secure car park for only $70 per week.